Where did Province in Maricopa, AZ come in on the list? Once a year, 55places.com announces its 50 best-selling active adult communities. However, we also like to take a look at the numbers each month to see which communities are hot sellers at any given point throughout the year. Let's find out which active adult communities buyers were flocking to in December. We took a look at every sale made through our website between December 1 and December 31, 2018, to determine our ten best-selling active adult communities of the month. If you’ve been keeping up with our previous monthly best-selling posts, you’ll recognize a few names that continually make the top ten mixed with a few newcomers. Please note that this number is drawn from sales made through our website and does not represent overall sales in any given community. Even though it’s located within the boundaries of Sun City Center, Kings Point is its own 55+ community with separate legal boundaries, bylaws, and homeowners' associations (HOA). While there are benefits for both options, Kings Point often gets offered up as the more affordable option. There are less expensive condos available here and a low maintenance lifestyle is often included in HOA fees. It’s also a gated community compared to Sun City Center, which is public. So it's understandable that buyers remain excited about the possibilities here, especially when you factor in the 90,000 square-foot main clubhouse and the multitude of amenities available to residents. Since construction began on Province in 2004, active adult homebuyers have been flocking to Maricopa to take advantage of open space and reasonable prices. Province has delivered the right blend of world-class amenities, finely crafted homes, and an exciting lifestyle. That amenity package revolves around the 32,000 square-foot clubhouse and resort-style outdoor pool which is surrounded on three sides by a scenic 50-acre lake. Every month, On Top of the World seems to find its way onto the list of best-sellers. Considering it was one of the 55 Best 55+ Communities of 2018, it’s not too surprising. A big part of the appeal is that it offers so much without costing too much. In fact, this popular community has plenty of homes available for under $100K at any given time. So we expect to see it on the list month after month as well. Access to Tellico Lake and scenic Smoky Mountain views make Tellico Village a hit. Tennessee might not be the first thing that comes to mind when you think of active adult communities but the state is a real up-and-comer and Tellico Village is one of the top communities driving that interest. 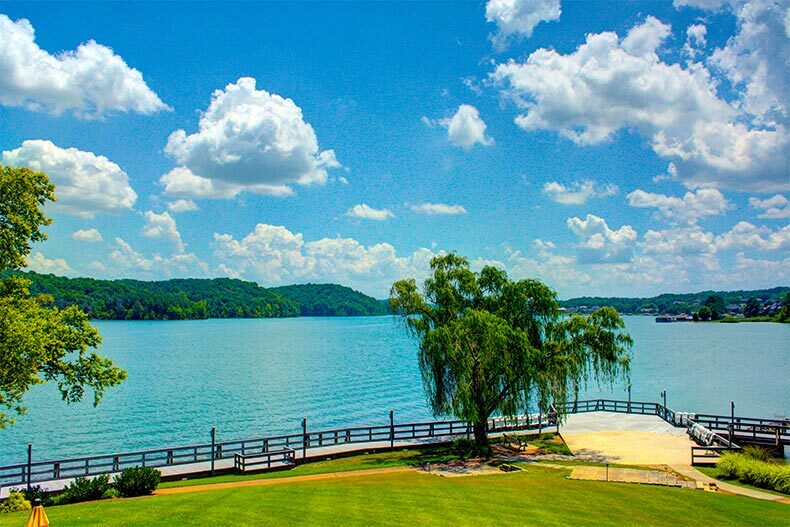 This master-planned community is located just outside of Knoxville and offers beautiful views of the Smoky Mountains, the clear waters of Tellico Lake, and rolling golf course hills. The Wellness Center is a state-of-the-art facility that includes a 27,000 square-foot clubhouse and 6,500 square-foot fitness center. Del Webb's Frisco Lakes is wrapped around the shores of Lake Lewisville in Frisco, Texas. This highly desirable destination 30 miles north of Dallas offers the ideal blend of culture, recreation and lifestyle. Frisco Lakes features two clubhouses, an 18-hole golf course, and other world-class amenities. At the heart of this 55+ community is the magnificent 28,000 square-foot Village Center and Sports Complex, but we expect we find many of the new buyers out on the 18-hole Frisco Lakes Golf Club course, designed by Gary Stephenson Golf Design. Located 25 miles from Washington D.C. in the heart of Loudoun's wine country, Lansdowne Woods of Virginia is an active adult community with seven condo buildings in Lansdowne, Virginia. The four high-rises and three low-rise buildings are situated on over 91 acres and offer great views of the Blue Ridge Mountains and the Potomac River. That’d be enough to keep attracting new buyers but the 50,000 square-foot clubhouse, on-site restaurant, convenience store, and so many other amenities are what take it to the next level. Lakes at Waterway Village is an active lifestyle community in Vero Beach along Florida's Treasure Coast. This intimate neighborhood provides homeowners with 521 single-family, low-maintenance homes that feature open gathering areas and functional living spaces. Lakes at Waterway Village also offers resort-style amenities as well as a perfect location that attracts people from across the country. If you want to find these new buyers to ask them why they picked this community, check the 11,000 square-foot clubhouse, outdoor barefoot bar, or one of the surrounding parks. Del Webb Orlando in Davenport is an active adult neighborhood within the master-planned golf course community of Ridgewood Lakes. Pristine lakes, mature trees, and the scenic 18-hole golf course create a tranquil atmosphere, making it understandable why so many buyers continue committing to live here. This gated community includes a clubhouse with a full-time activities director, clubs, classes, and a small park. The 830-home plan also finds a nice balance between being able to accommodate a broad spectrum of interests while maintaining a close-knit community. The most popular active adult community of 2018 remains extremely popular with buyers. In the last two years, the Latitude Margaritaville brand has become the biggest in the world of 55+ living and now that the initial round of residents has moved in it’s starting to take real shape. Whether inspired by the Jimmy Buffett lifestyle or just looking for all their own lost shaker of salt, we expect buyers to keep showing up here for some time to come. Lake Ashton is known for its modern amenities and incredible views. Lake Ashton in Lake Wales makes a good first impression since it's surrounded by rolling hills and citrus groves. 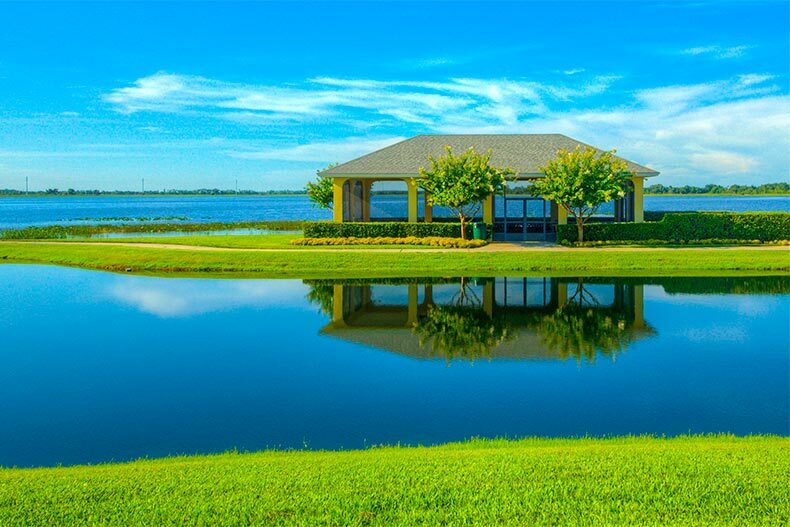 This popular gated active adult community located in Central Florida also overlooks the lovely Lake Ashton. 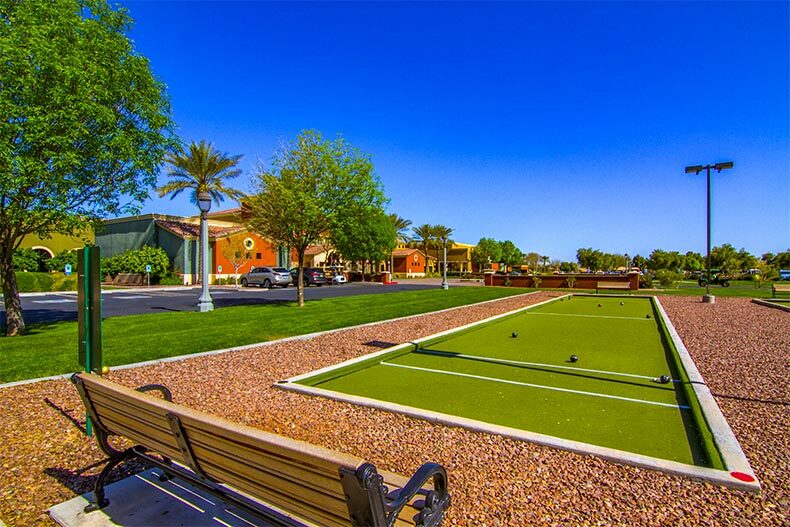 The 55+ neighborhood offers residents a gated entry, quality homes, resort-style amenities, two private 18-hole championship golf courses, and plenty of clubs and events. The 26,000 square-foot clubhouse and a 30,000 square-foot health and fitness center aren’t too shabby either.